Art Nouveau gold & silver locket. Product code: 1105 Categories: Sold Items, Sold Jewellery. Here is a very unusual and beautiful sterling silver locket with a difference. 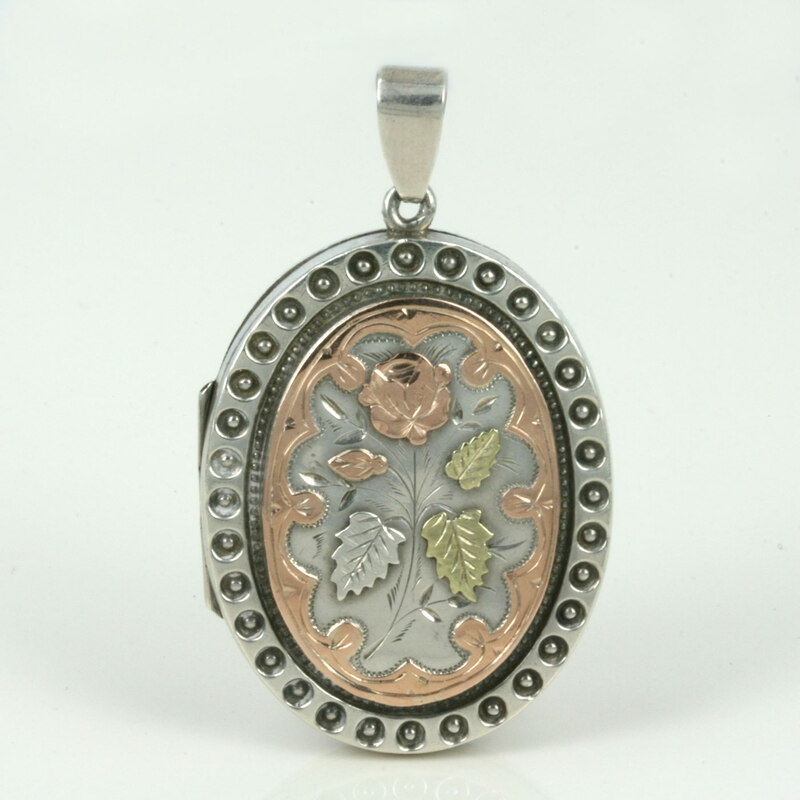 Made in 1884, this locket is made in sterling silver, yellow gold and green gold. Green gold is no longer produced today, and as can be seen in the images looks so pretty representing the leaves. Measuring 2.8cm wide x 3.8cm high (or 4.8cm to the very top) the reverse side of this locket also looks stunning. 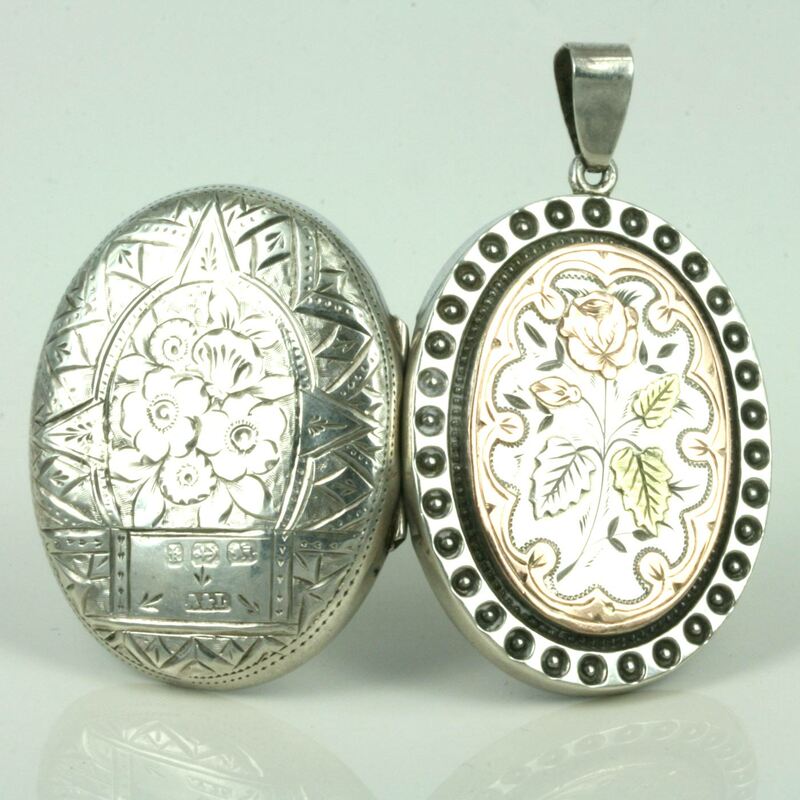 A wonderful antique Art Nouveau era locket that will be admired every time that it is worn.